The Port of Barcelona has one of the largest regasification terminals in southern Europe, with a capacity of 625,000m3 per hour. 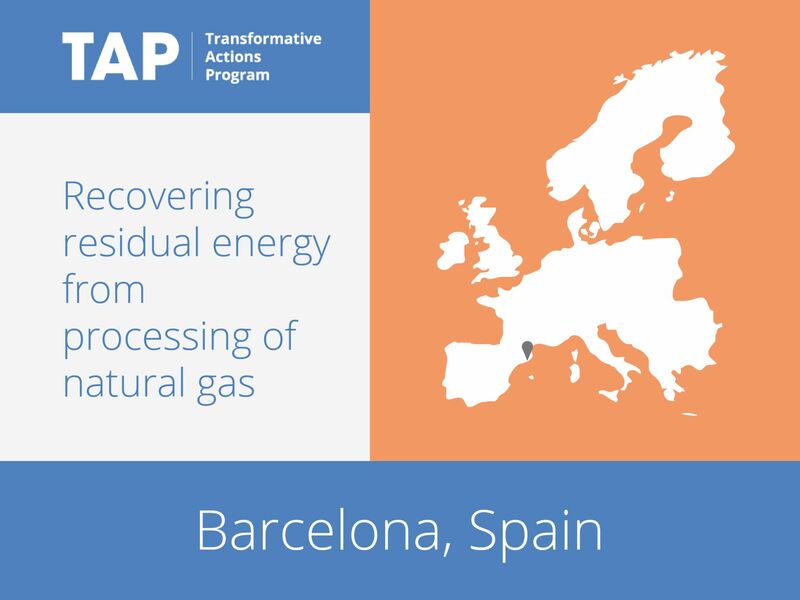 As this resource has not been sufficiently utilized, Barcelona has developed the EcoEnergies project in partnership with the private enterprise VEOLIA. The main objective is the recovery and redistribution of the residual energy from the processing of the liquefied natural gas. Currently the project provides heating and cooling to various small customers. By 2017, EcoEnergies aims to provide cooling for Barcelona’s central market (MERCABARNA), bringing the capacity of the project to over 50 megawatts.